Barbour Leather Dog Lead in brown nubuck. 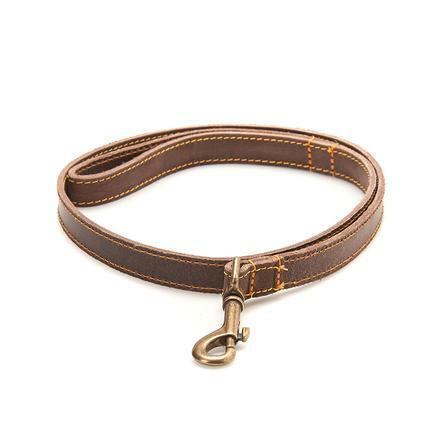 This subtly Barbour branded leather dog lead has antique brass effect metal fittings with double contrast top stitching. A matching dog collar is also available.